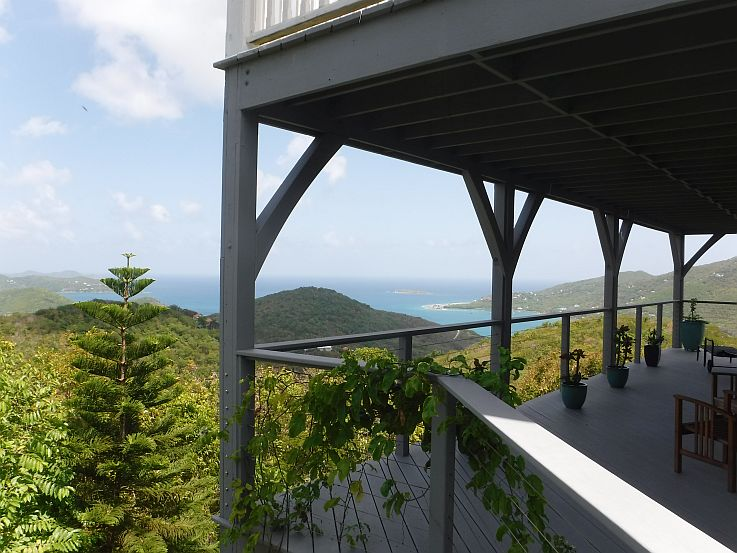 One of may views from the deck, looking into Coral Bay and beyond. 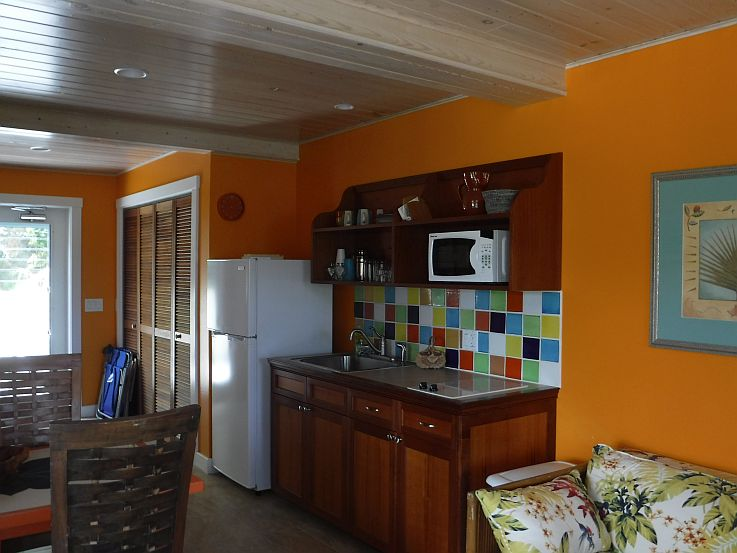 Suite Papaya is a beautifully renovated and well-appointed studio apartment located on a shared outdoor estate overlooking Coral Bay area of St. John. 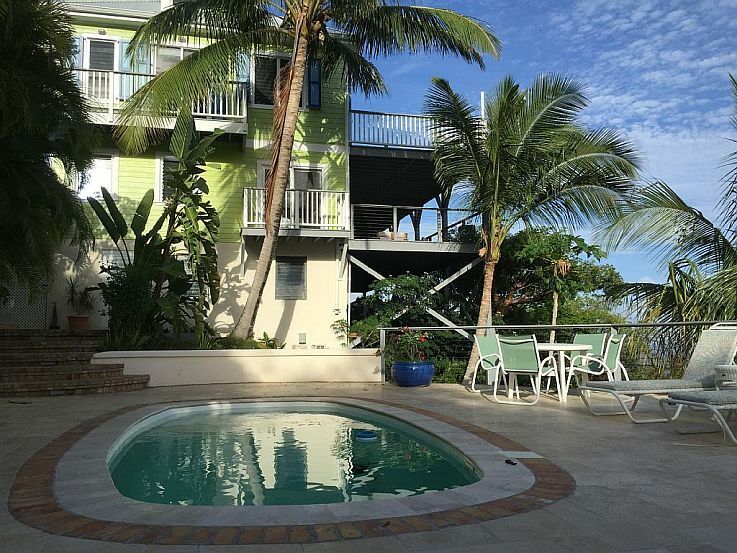 Just a few minutes drive to either the town of Coral Bay or several beautiful Virgin Island National Park beaches and trails. 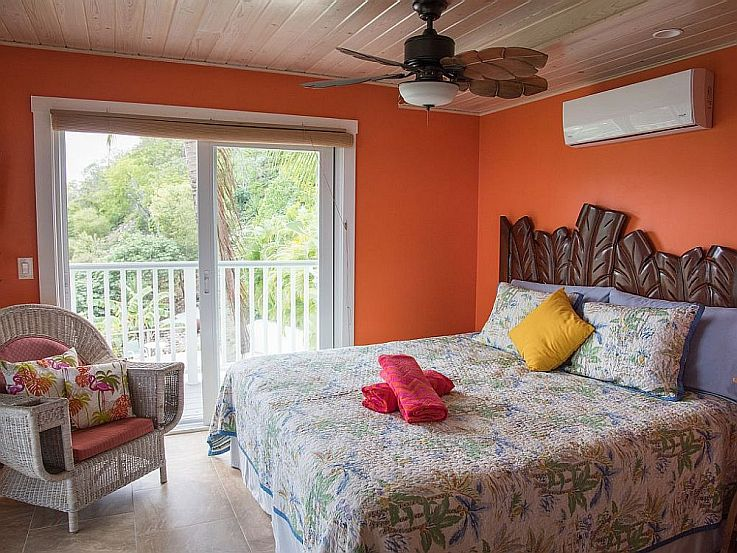 Suite Papaya sleeps two comfortably with an option to add one more guest; it features a King bed, pullout sofa, platform daybed mini-room, A/C, and faces both south and west, capturing stunning sunsets. 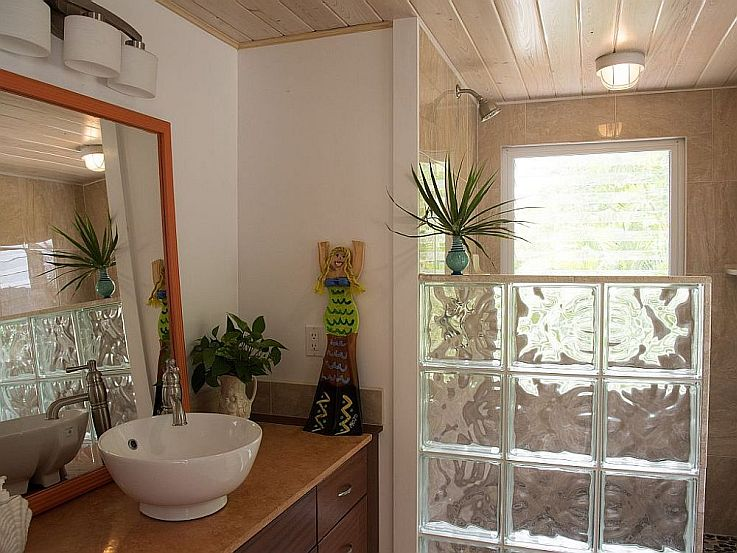 While both share the same level, they each have their own well-appointed kitchenette, dining table, sitting area, TV, WIFI and a beautiful bathroom. 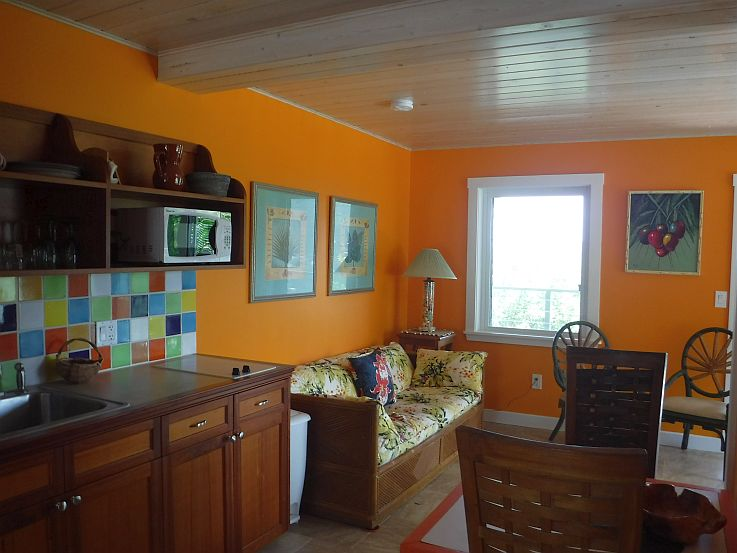 Each kitchenette has a two burner electric top stove, refrigerator, coffee maker, toaster, and microwave. 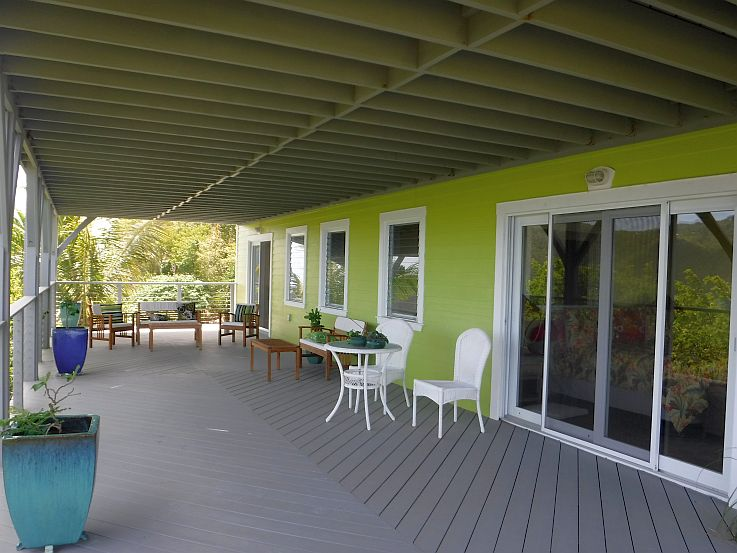 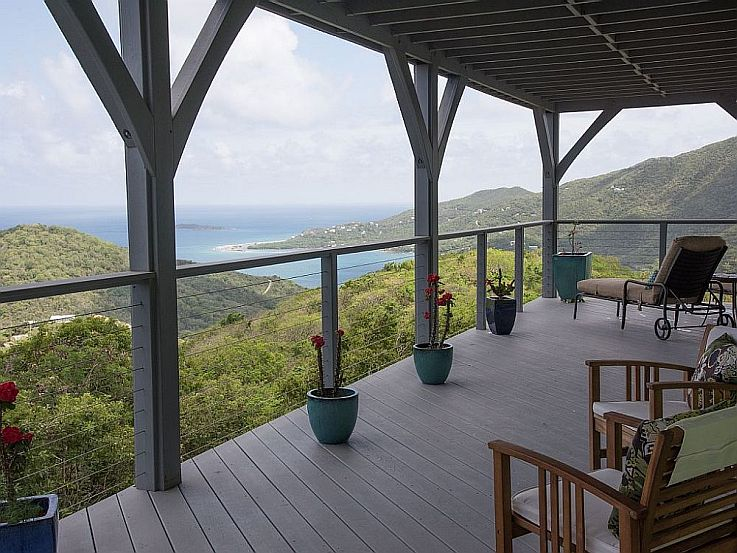 The units share over 1000 square feet of exterior decks space with stunning views over Coral Bay and BVI, outdoor grill, hot tub garden, and large pool deck. 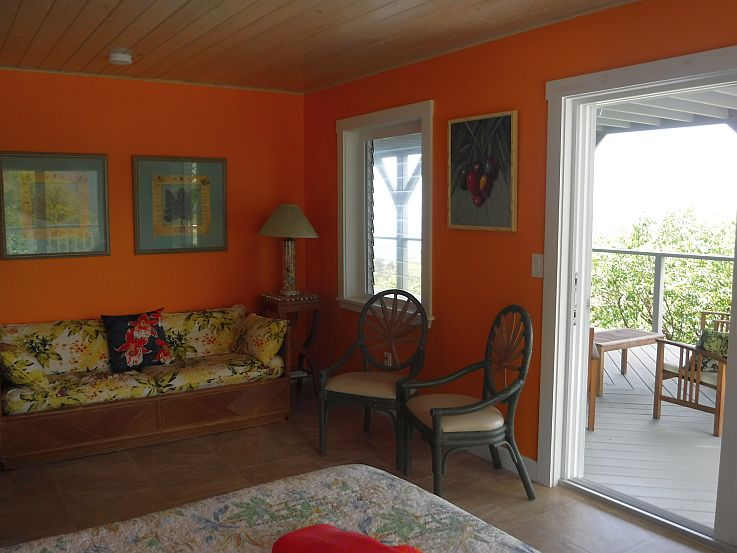 There are plenty of areas around the estate to lounge alone or in a group. 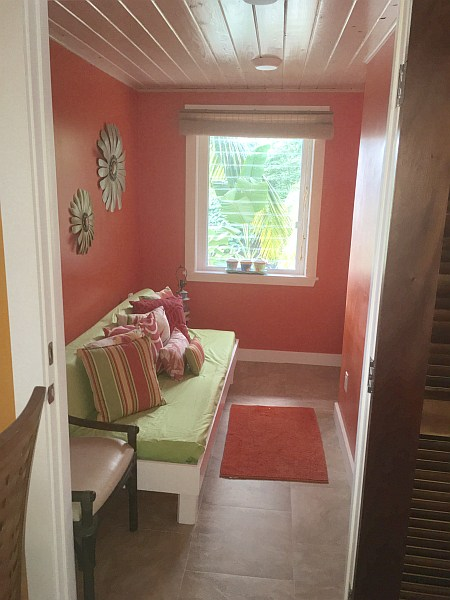 12.5% VI Room Tax is not included in the above rates.